Mars Opportunity Rover is seen here examining the “Athens” rock on the red planet. 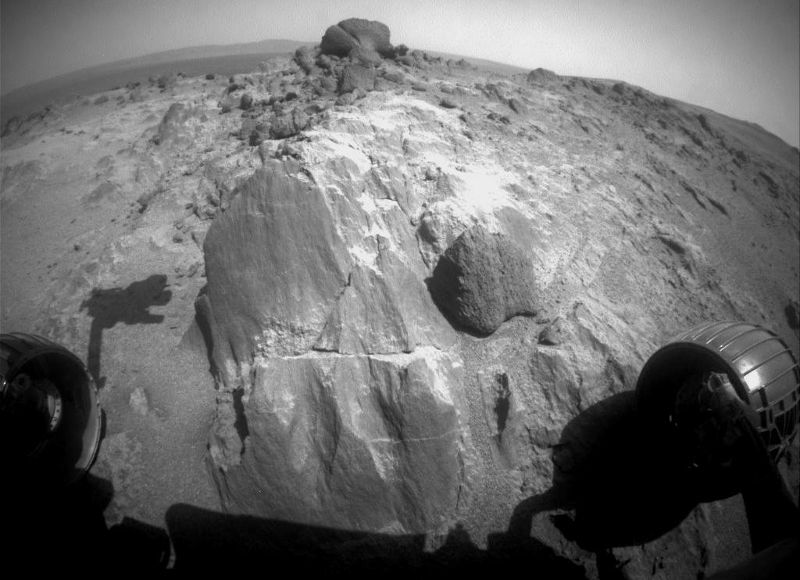 This picture was taken on March 25, 2015 by Opportunity’s wide angle Hazcam and shows the robotic arm extended as it explores the lighter coloured Athens rock formation. 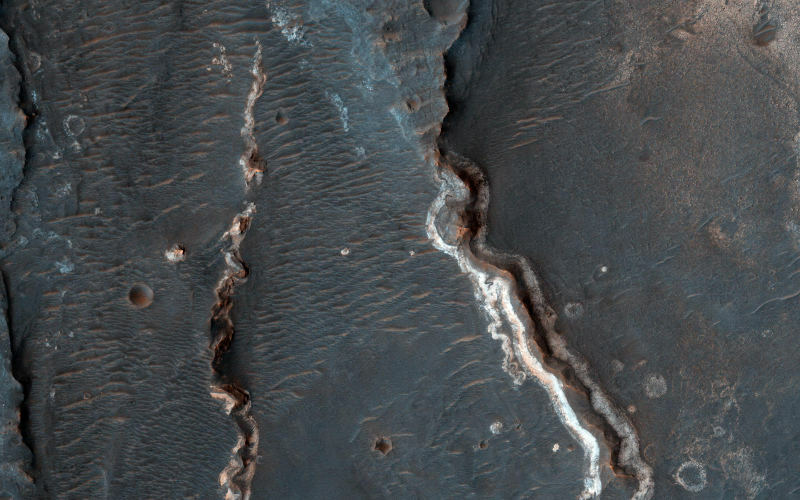 An ancient river on the golden crater of Mars? That is what this looks like as NASA scientists examine the crater floor with what appear to be inverted channels, rounded lobe-like landforms, and light-toned layered deposits. These fluvial channels were captured in this enhanced colour image by the Mars Reconnaissance Orbiter using its HiRISE camera. 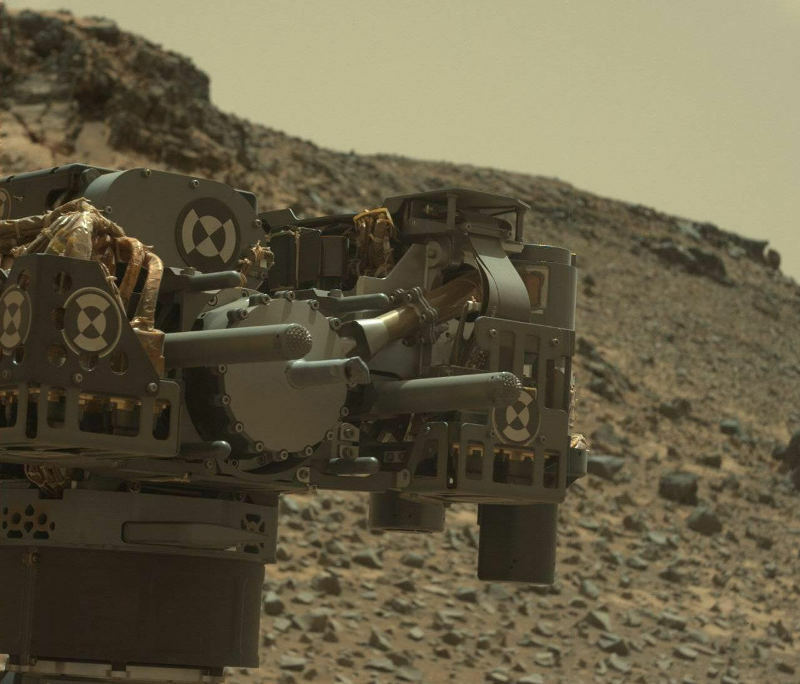 On its 908th day on Mars, the Curiosity rover used this drill to bore into a rock called “Telegraph Peak“. A glitch in the system triggered by an irregularity in electrical current lead to several troubleshooting tests and delays in transferring the drilled samples for analysis. This picture was taken by the Mast Camera mounted on Curiosity. 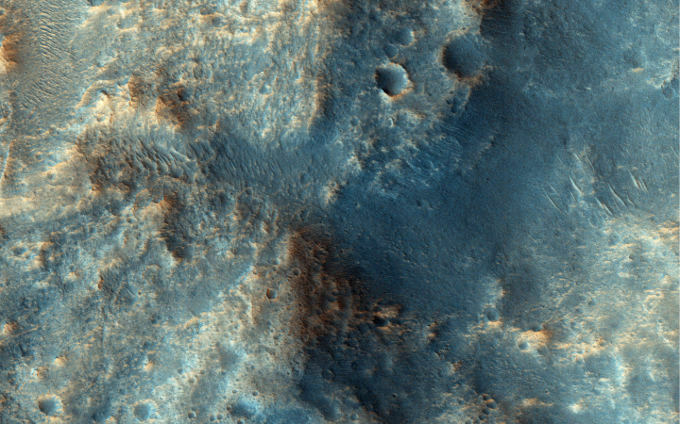 Mars exploration rover Opportunity gets ready for some more examination as it comes up to this flat-faced rock (center of the picture) on the red planet. Opportunity rover’s wide-angle, front hazard avoidance camera took this picture in early March 2015, on the 3,948th Martian day of the rover’s mission on Mars. 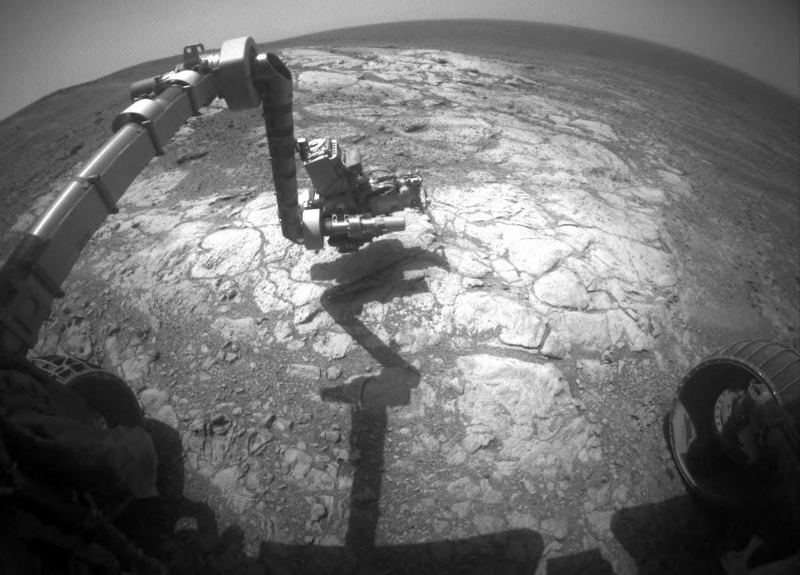 This rock is located in an area dubbed “Marathon Valley” which the rover reached over the last month and plans to study for its unique mineral characteristics. The HiRISE took this picture of the Ares Vallis region which sits on a Martian plateau. HiRISE camera on the Mars Reconnaissance Orbiter is operated by the University of Arizona and took this picture on January 1, 2015. The huge outflow channel, Ares Vallis is also close to where the Pathfinder/Sojourner Mars mission landed in 1997.